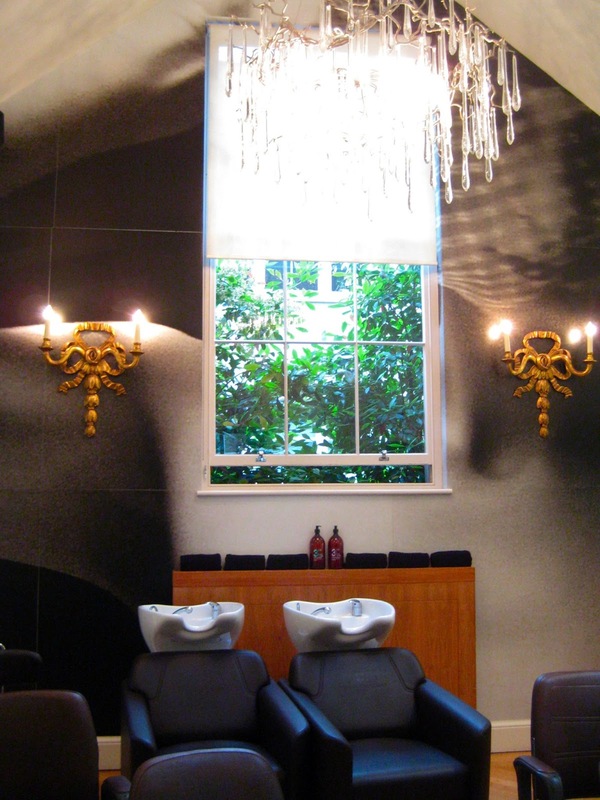 Last week I received an invitation to the award-winning Michael Van Clarke salon in Marylebone for some hair talk. I was invited to learn more about Michael Van Clarke's salon, his 3''' More Inches hair care range and the Diamond Dry Cut hair cutting method. I'm sure I'm not the only one when I say that I'm always looking for new ways to make my hair look better and healthier. So on Tuesday evening, I made my way through Marylebone to the salon, where I was greeted with a glass of bubbly. I just want to start off saying that the salon is the nicest once I've seen so far. The entrance/reception area looks like a luxury boutique hotel lobby. Apart from Michael's 3''' More Inches range, there are three other product ranges which are sold at the salon, along with Tangle Teezers, hair tools and colourful OPI and Essie nail polishes. A real goodie cupboard! The salon is being redecorated so it's not completely finished yet. 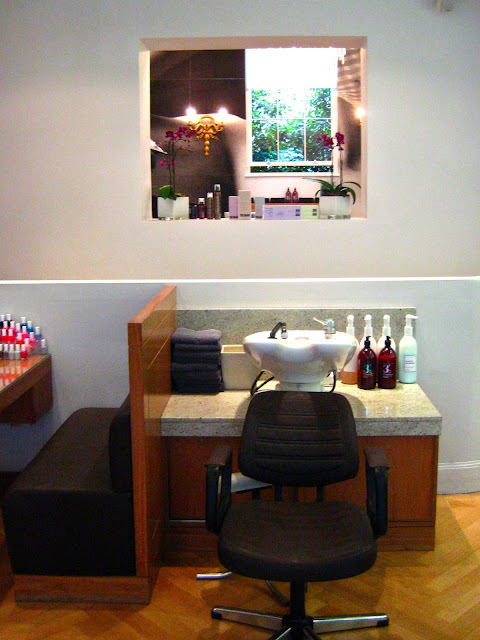 The downstairs area will become beauty salon where you can get facials, manis, pedis and waxing. You can basically spend a whole day getting pampered at the salon! After the tour of the salon, it was time for us to sit down and listen to Michael talking us through the 3''' More Inches range and the story behind it. It was just me and four other (beauty) bloggers, which allowed us to ask any questions we wanted. Michael explained that hair is made up of protein and water, and when these two are unbalanced, the internal molecular bonds break down. This aging process is only being accelerated by heat styling and poor quality hair products. I already knew that silicones weren't good for the hair but didn't know exactly why. Michael explained that products containing silicones (serums like Moroccan Oil) are purely cosmetic products. 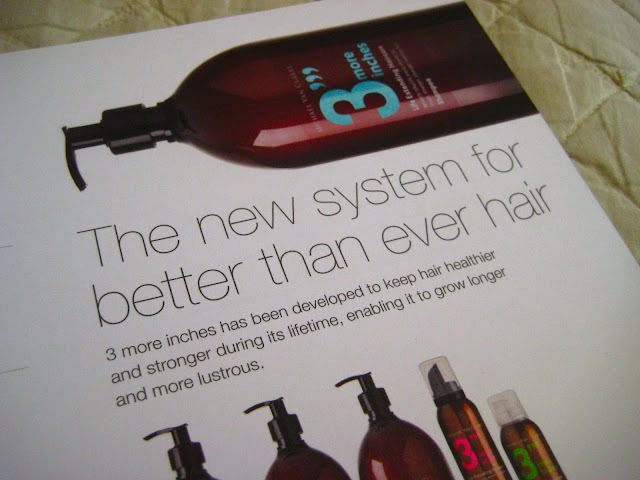 They make your hair look great right away, but it doesn't do anything good in the long term which sounds logic. What the hair needs is real hair care products that help retain moisture and suppleness to avoid split ends and breakage. This is why Michael created the 3''' More Inches range. Having worked alongside John Frieda, Michael really knows the ins and outs of hair care and what does and doesn't work. The silicone-free range contains all kinds of good ingredients but I'll talk about that in my review. I first got my hair washed in these awesome reclining and massaging (!!!) chairs. Bonus points! The 3''' More Inches range was used to wash my hair. My first impression was that it didn't smell strongly like shampoos at other salons, which is a plus because it means that there isn't much/any perfume in the products (this dries out the hair). My hair was then dried about 80% with a hair dryer without nozzle. I learnt that if you use the nozzle, the heat is too concentrated which is bad for the hair. Great tip! Gustav then started cutting my dry hair. When the hair is dry, you can really see the actual shape and movement in it, so it's better than when it's cut wet. It also shows the actual length of the hair which avoids the stylist from cutting too much (this is what usually happens). I've had my hair cut dry before in Belgium, but the way Gustav did it was much more precise and he really looked at how my hair framed my face. When he was satisfied with the result, he dried my hair completely and then took a curling wand to make some curls. I was planning on taking some photos of the result but the curls had disappeared within half an hour so I ended up straightening out the waves that were left. I never feel 100% myself after I've had my hair done at any salon, so I like to tweak it a little when I get home, am I the only on who does that? Before my Diamond Dry cut (left) and after. 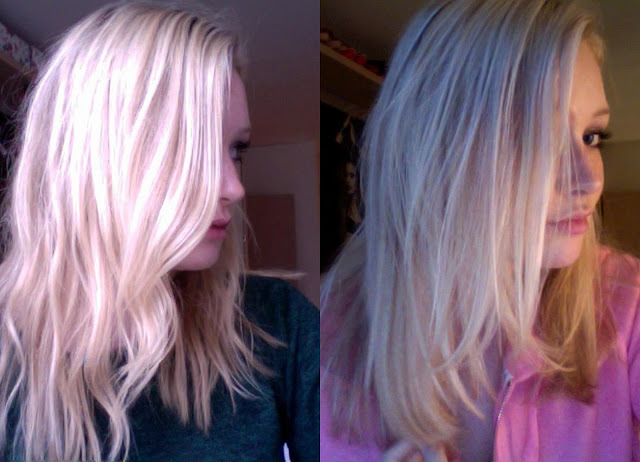 Got rid of the dry, dead ends and got some bouncy healthy looking hair in return! I am really satisfied with the result. Gustav barely cut anything at the back of my head to keep the length, but he really improved the front parts and made my hair a little more lively. My hair also felt incredibly soft! I can't thank Michael Van Clarke and his team enough for inviting me. I really like the salon and if I will definitely keep it in mind for when I need another hair cut. I will review the 3''' More Inches range in a few weeks time for an update!